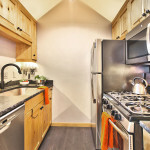 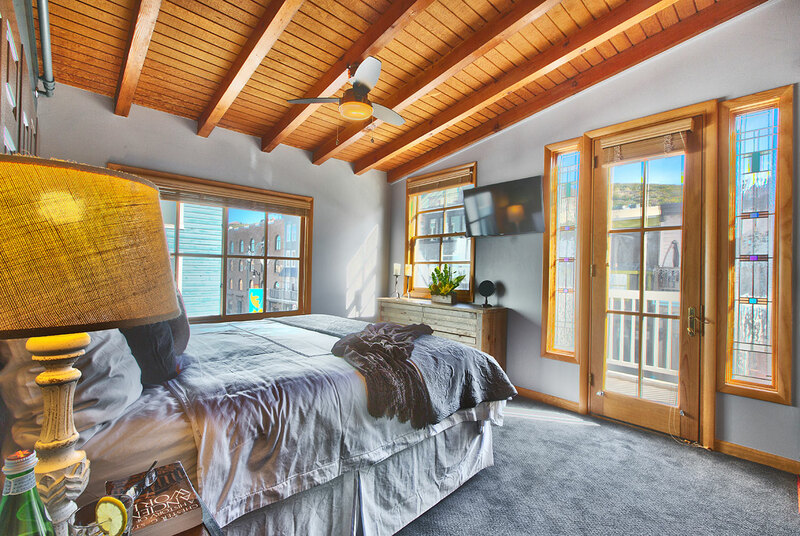 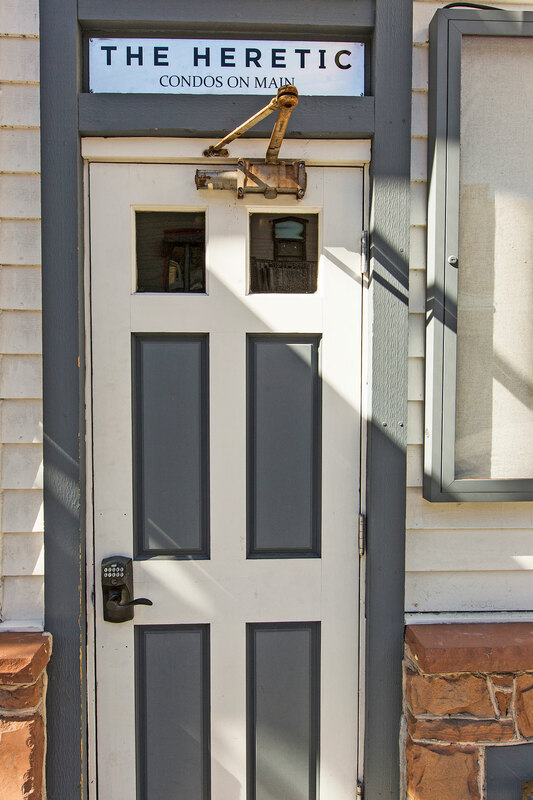 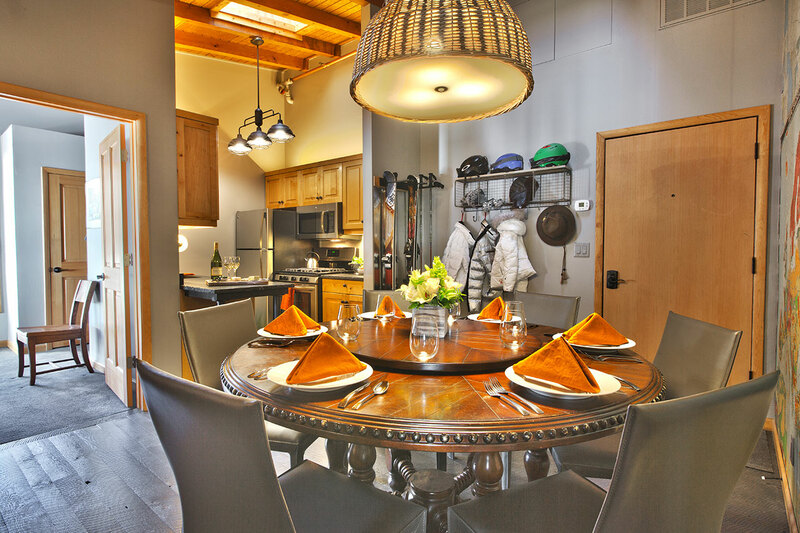 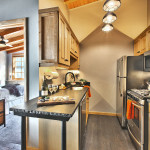 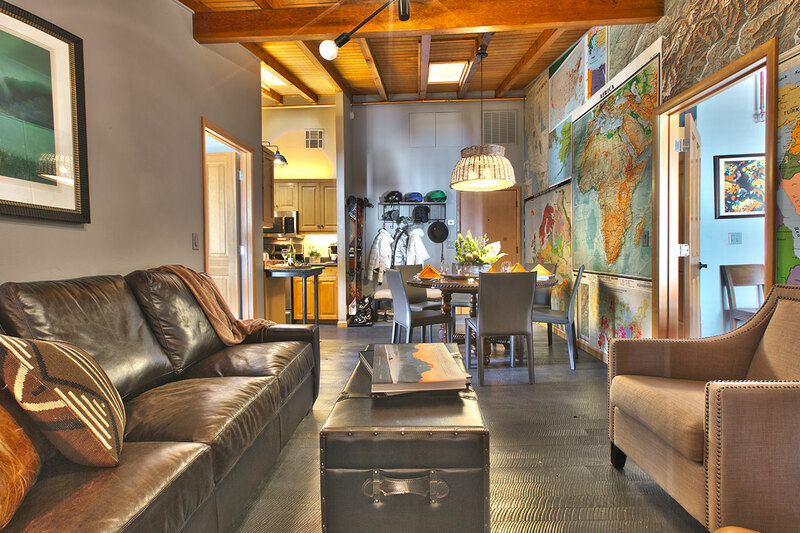 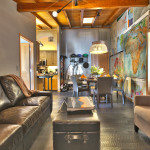 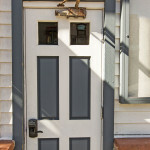 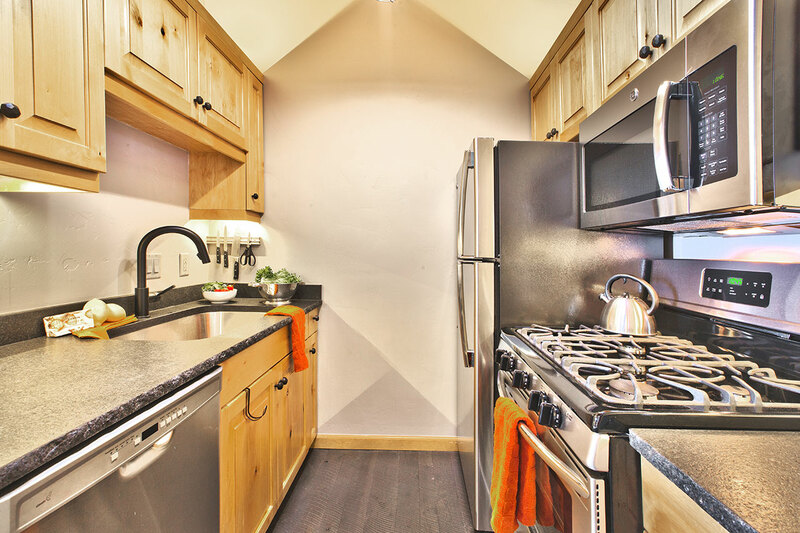 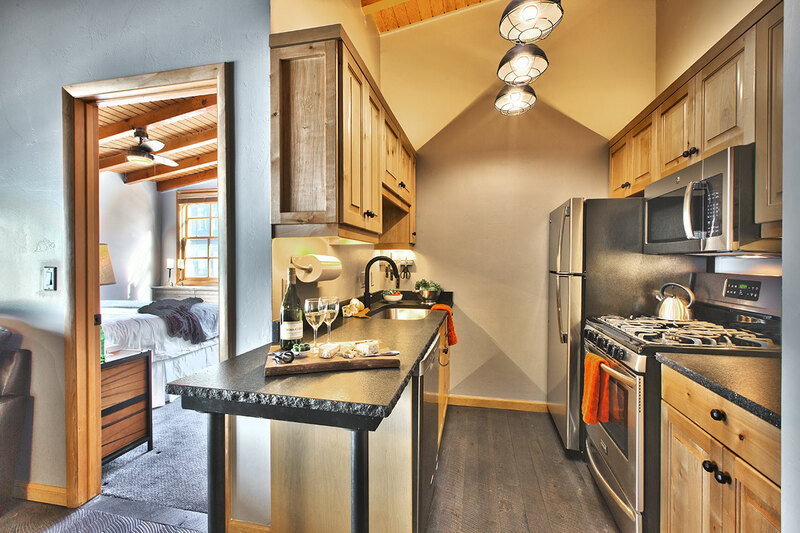 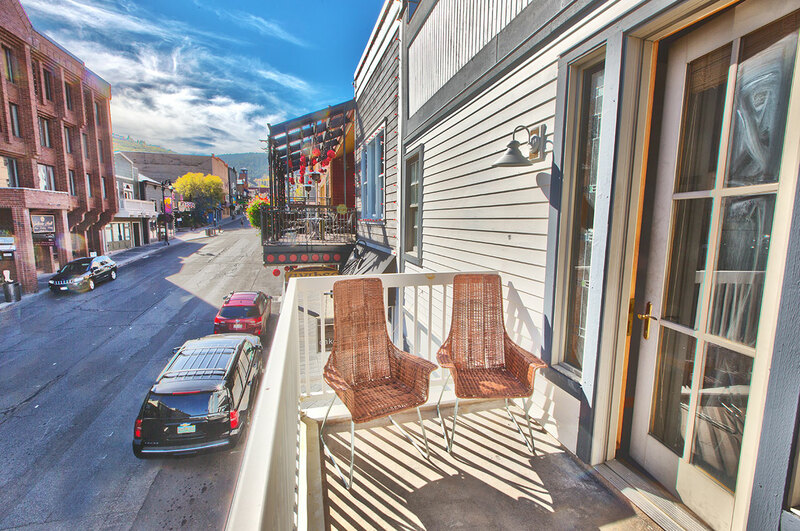 This newly renovated two-bedroom, two-bathroom condo in the heart of Main Street Park City shows off contemporary industrial mountain style at its finest. 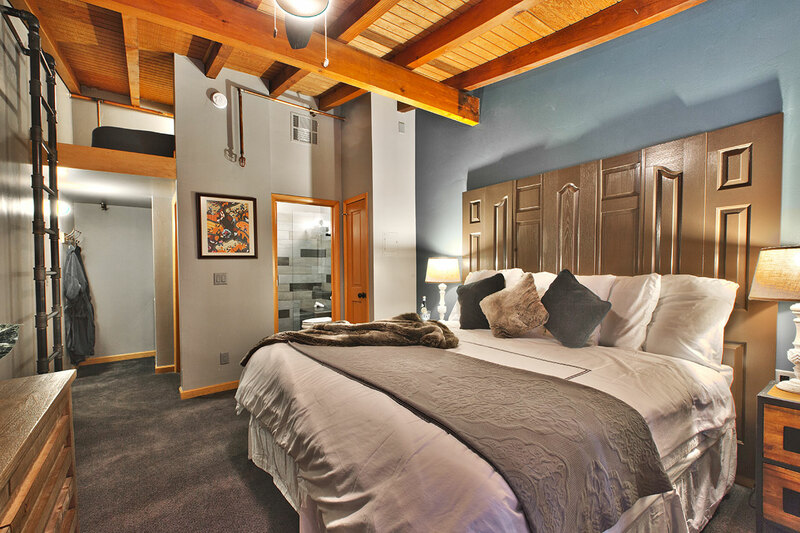 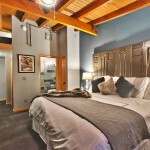 Each bedroom offers Four Seasons-inspired king beds. 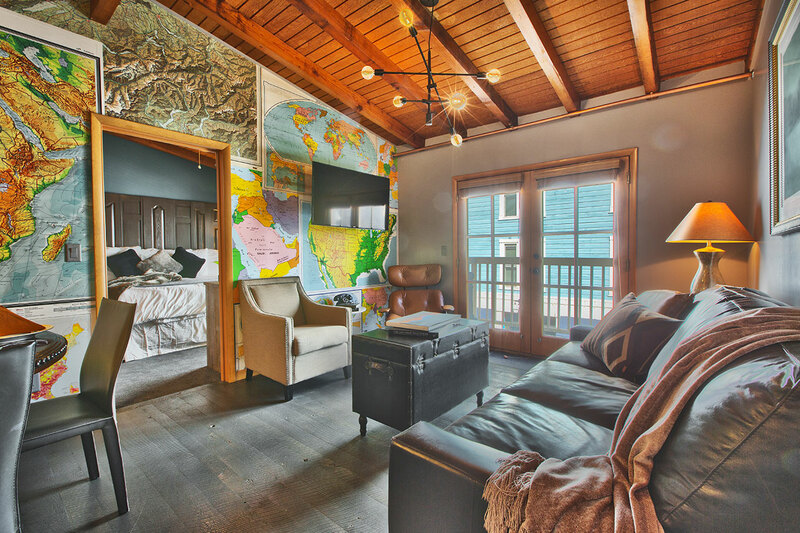 The living room has a leather sofa that opens to a queen bed, and there is a quaint sleeping loft with full bed perfect for the kiddos. 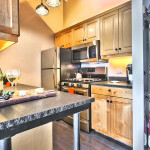 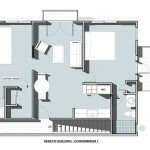 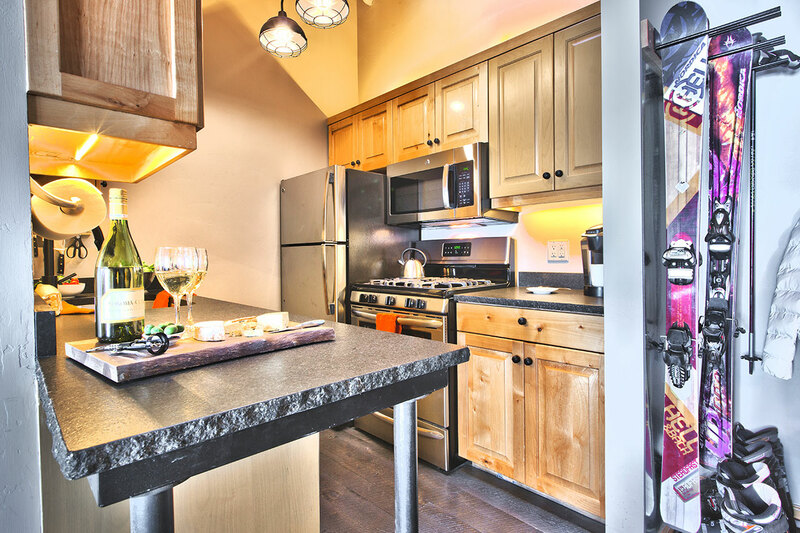 The full kitchen has beautiful black granite and is equipped with stove, microwave, dishwasher and refrigerator. 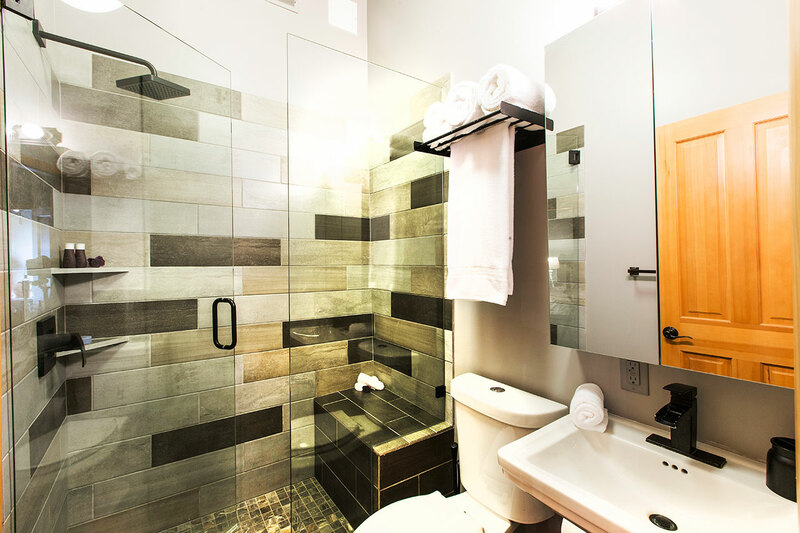 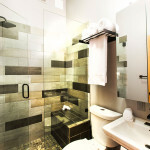 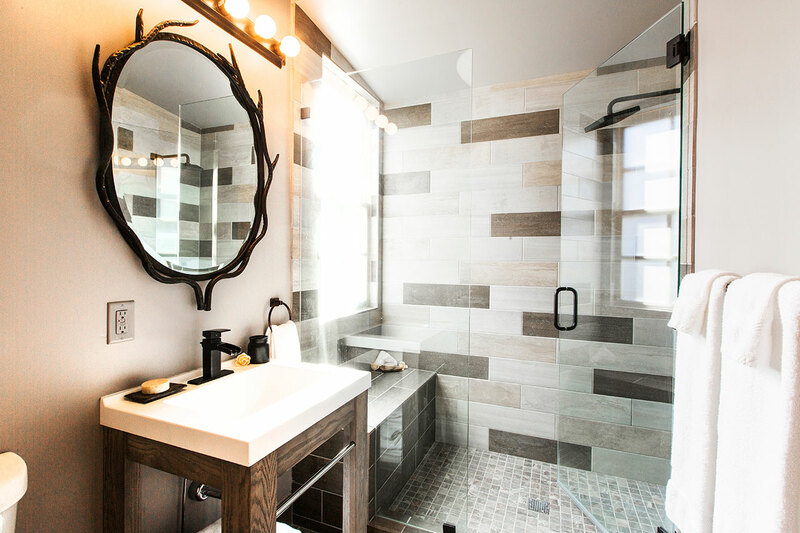 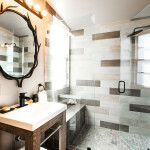 Each of the two bathrooms has a fully tiled European-style walk-in shower. 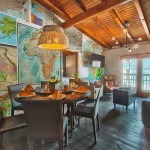 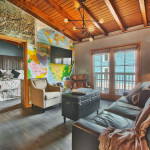 The living room and each bedroom have flat-screen TVs. 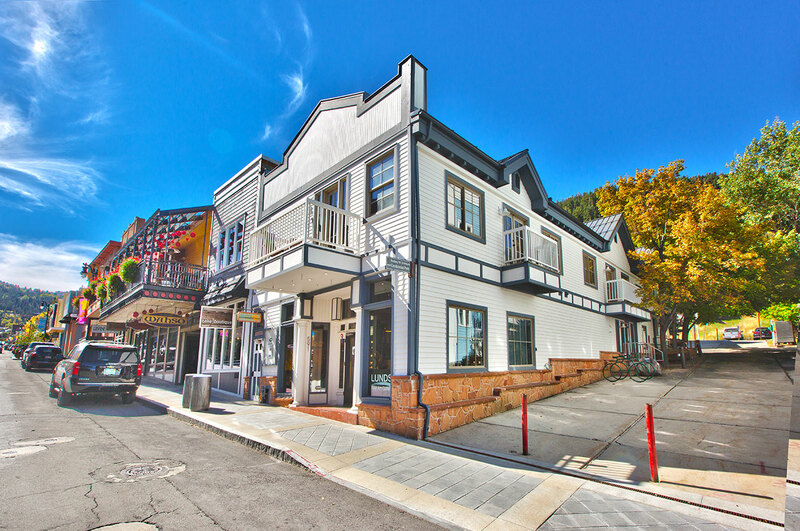 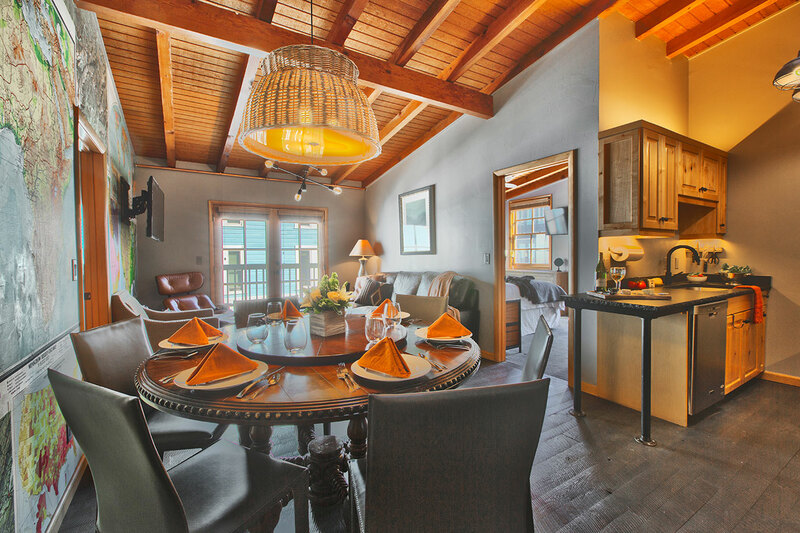 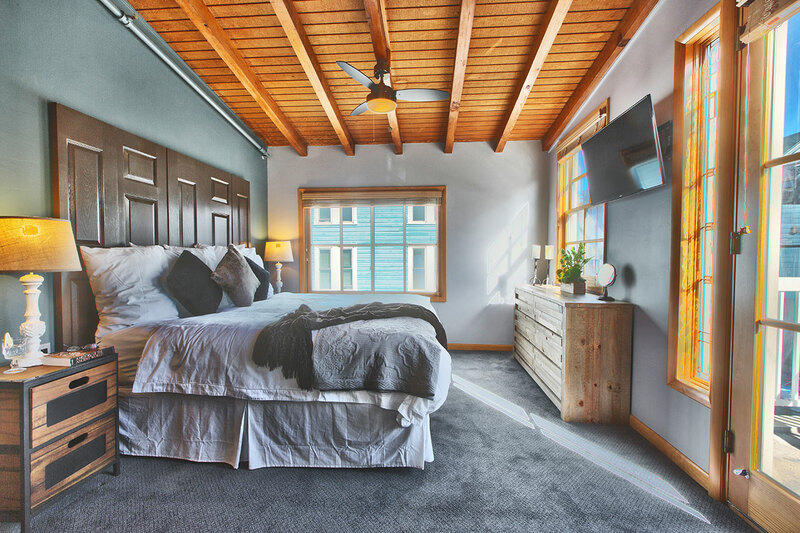 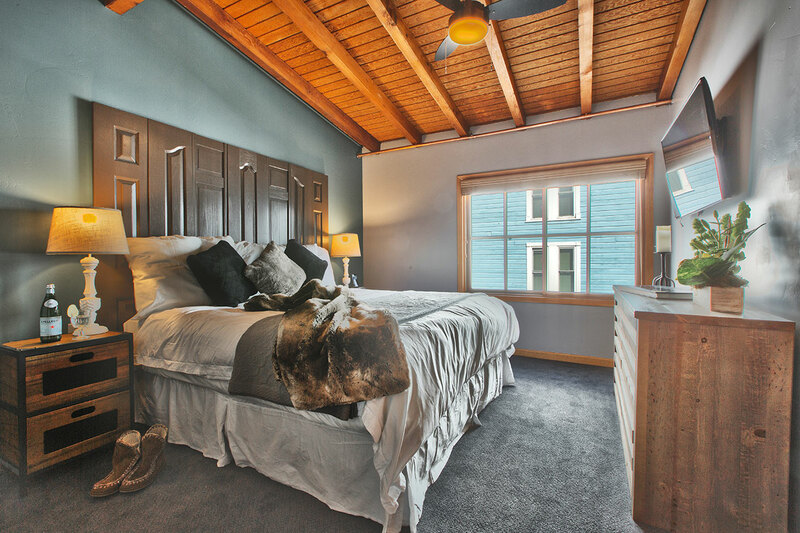 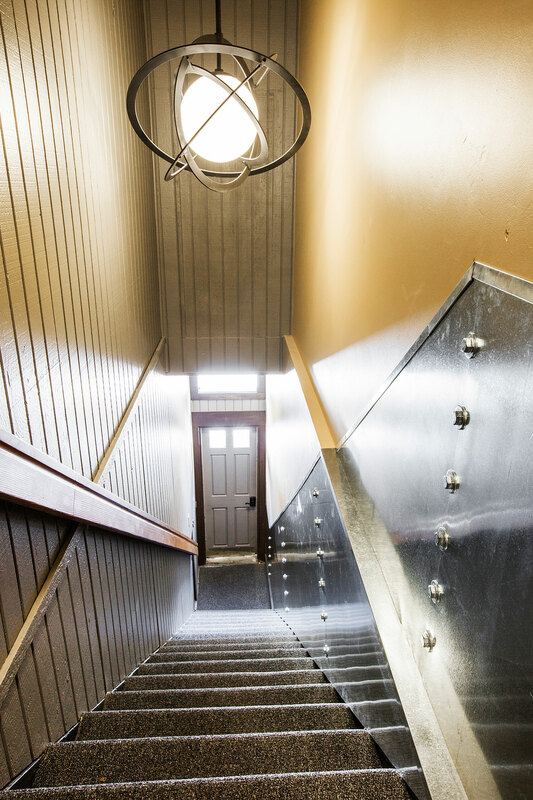 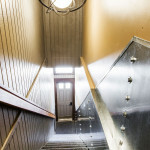 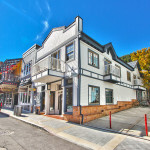 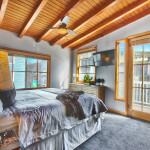 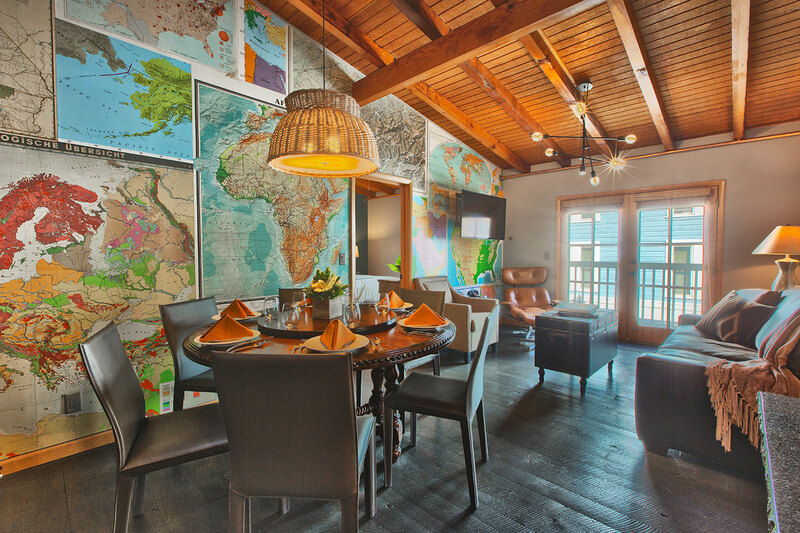 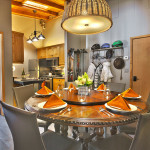 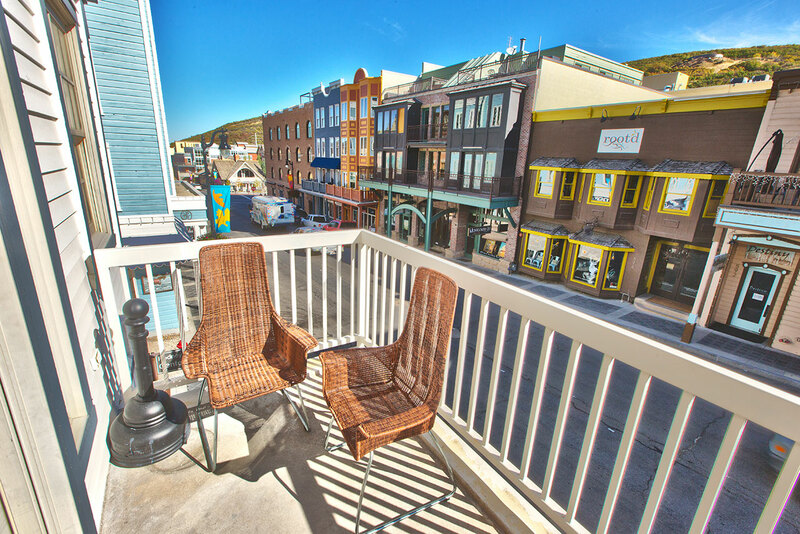 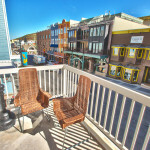 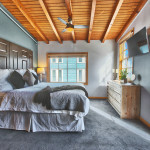 Two balconies grace this condo – one overlooking Main Street with a bird’s-eye view of Park City’s parades festivals and Main Street activity. 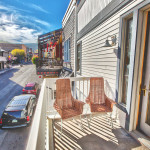 The side balcony opens onto a tree-lined municipal pedestrian walkway with benches and bike racks. 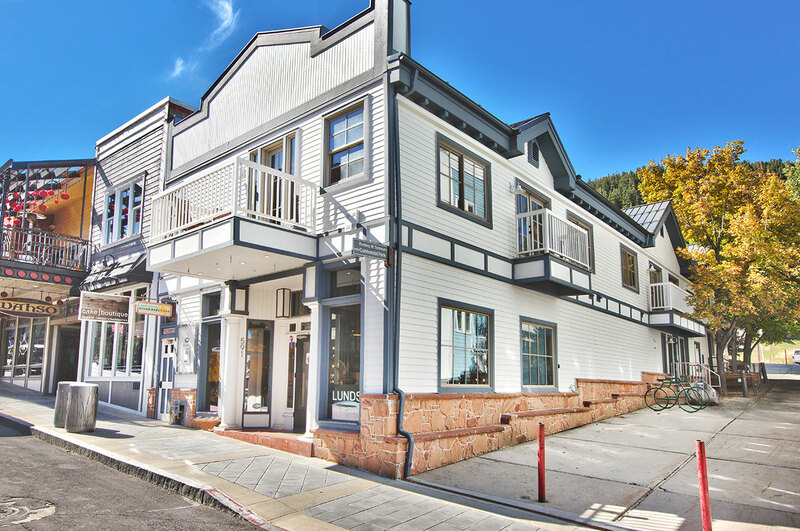 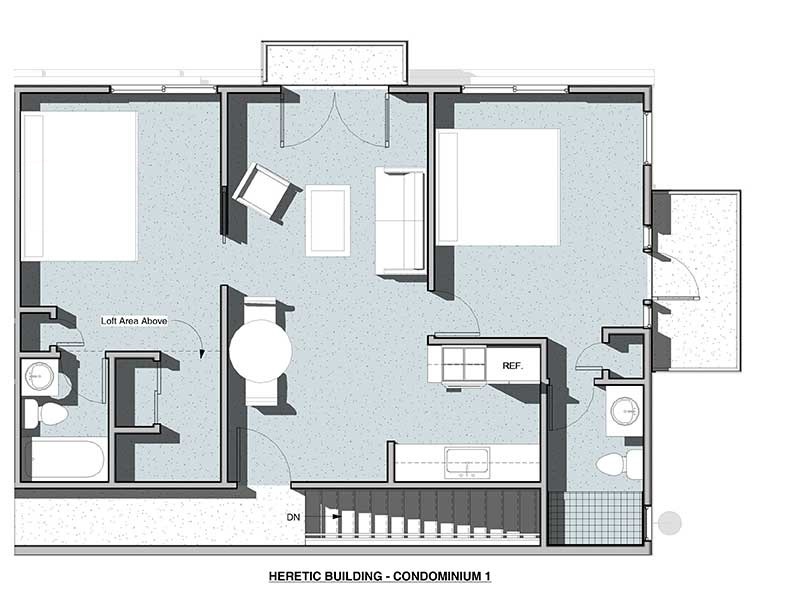 Situated just two short blocks from the Town Ski Lift, The Heretic Condos are nearly ski-in/ski-out. 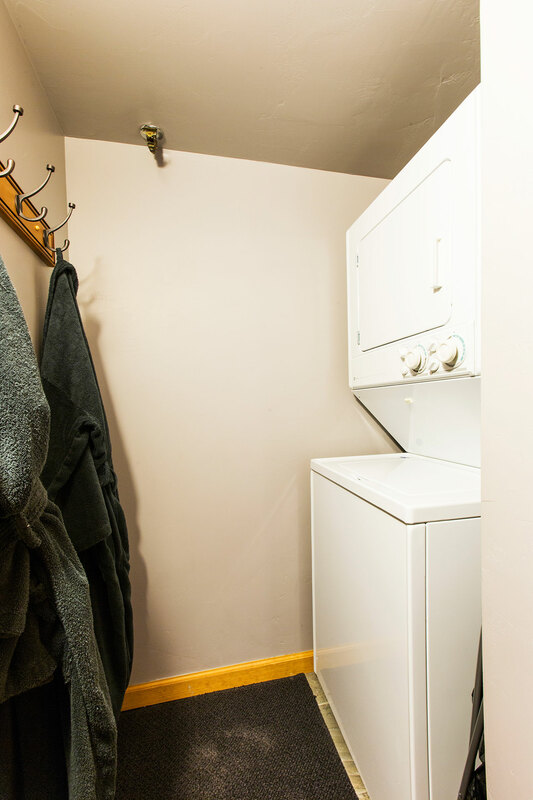 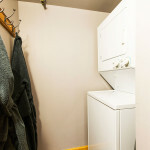 Other amenities include washer and dryer inside the condo, hair dryers, iron and ironing board and coffee maker and free Wi-Fi.